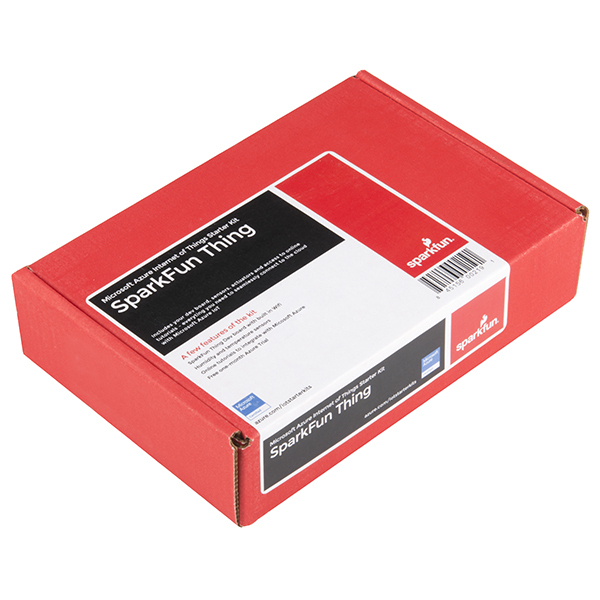 Microsoft and SparkFun have teamed up to bring you some IoT (Internet of Things) fun. The Microsoft Azure IoT Starter Kit for the SparkFun Thing Development Board has been designed to help you seamlessly connect your device to the cloud with Microsoft Azure IoT. 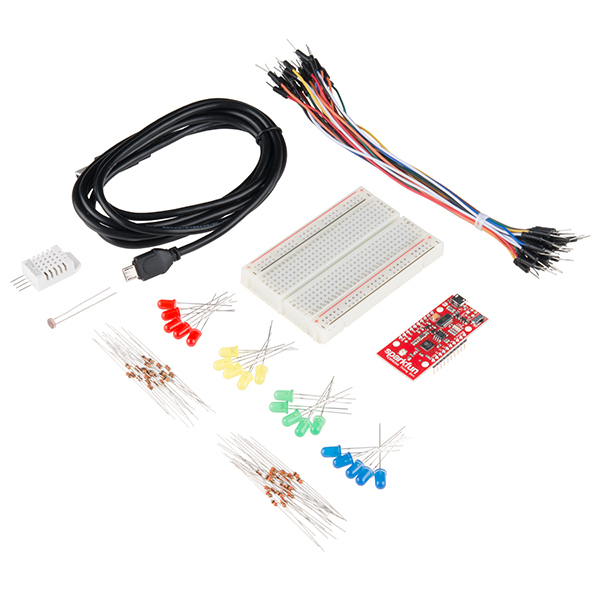 This kit includes an 'Azure certified for IoT' SparkFun Thing Dev Board, and a breadboard and wires to help you set up your circuits. There are also a variety of sensors such as a photoresistor to sense light as well as a humidity/temperature sensor to read the ambient temperature and humidity in a room (or outdoors with some weatherproofing). Once your board is connected to Microsoft Azure you can start visualizing and analyzing your data. We decided to do this project to collect information from a walker and upload it to the internet. What's up with you guys consistently releasing almost identical products... at exactly.. or almost the same time as Adafruit? Yep, this was a collaboration with Microsoft. Why they seemed to work with 2 different companies to product 2 'almost identical products' is a question for them. Had to read through instructions multiple times and follow very carefully. Made several mistakes along the way. However, with patience and perseverance, was able to learn about how IOT devices are configured, programmed and deployed. Just what I was hoping.